Footnotes includes four tracks, three of which are partly co-written by the duo. The EP opens with The Good And The Right which is unfortunately my least favourite song on the EP. The track overall has a Miranda Lambert/Carrie Underwood feel with the gutsy, punchy instrumentalisation. The harmonies in this track are certainly not as strong as the rest of the release, possibly attributed to the higher production level with a slight feel that the vocals are having to fight against the production. The EP's title track is next. I had previously listened to this track and it was the first I had heard from Ward Thomas. It has a softer, folkier feel than the previous track with a more stripped back production. The driving acoustic guitar beat pushes the song along well and the overall production sits at a much more manageable level. My only negative on this track is that the vocals during the chorus feel a little forced in contrast to the comfortably delivered vocals in the verses. With a lyrical focus on lines such as "help me write my happy ending, help me get my happy ending right" the song is highly reflective. Take That Train is a very well written track and tells a compelling story. With lines such as "she smiled at me and I could see a story taking shape behind her eyes" and "a tragedy it came to me and offered opportunity to take that train and face the things I know" take the listener on a journey through the track. I really like the production choices in this track, the piano and acoustic guitar mix really well and give an upbeat, happy feel to the track with the fast, pacy melody. Closing track Caledonia is where the duo's harmonies are at their strongest in my opinion and is the real gem on the EP. I had done some research into the background of the song (having not heard it before) and was really interested to read that the track is a traditional Scottish folk song written when song writer Dougie MacLean was feeling homesick for Scotland (poetically called Caledonia). Ward Thomas' version is released a surprising thirty-seven years after the song was originally written but works well and they keep the track current. With just an acoustic guitar and piano for accompaniment, the duos vocals are very exposed however Lizzy and Catherine rise to the challenges the song presents and deliver a very impressive performance. This is a very strong EP all round and I am certainly intrigued to hear what Ward Thomas release in their full length album! 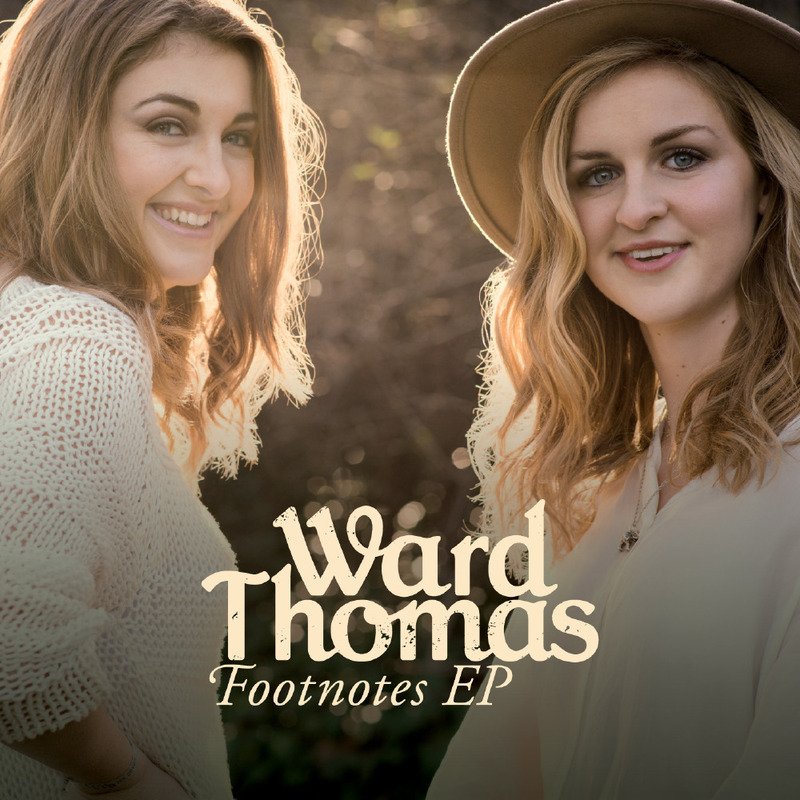 I would really recommend listening to this EP, Ward Thomas have made a very promising start. They also have a upcoming short US tour in April and you can see the tour dates on their website here.